Your Doctor that Listens. Your Doctor that Cares. Richard Brenneman, D.C., is a chiropractor located in Kansas City, MO. Take the next step and contact Dr. Richard Brenneman, D.C., for a consultation in Kansas City, MO or to get more information. Jennifer Forbes, D.C., is a chiropractor located in Kansas City, MO. Take the next step and contact Dr. Jennifer Forbes, D.C., for a consultation in Kansas City, MO or to get more information. Mark C Strozier, D.C., is a chiropractor located in Kansas City, MO. Take the next step and contact Dr. Mark C Strozier, D.C., for a consultation in Kansas City, MO or to get more information. Danny Welch, D.C., is a chiropractor located in Kansas City, KS. Techniques: • Chiro Neurologist • Rehab Take the next step and contact Dr. Danny Welch, D.C., for a consultation in Kansas City, KS or to get more information. Theodor Morgan, D.C., is a chiropractor located in Kansas City, MO. Techniques: • Diversified Take the next step and contact Dr. Theodor Morgan, D.C., for a consultation in Kansas City, MO or to get more information. N J Knutz, D.C., is a chiropractor located in Kansas City, MO. Take the next step and contact Dr. N J Knutz, D.C., for a consultation in Kansas City, MO or to get more information. Mark Buckner, D.C., is a chiropractor located in Kansas City, MO. Take the next step and contact Dr. Mark Buckner, D.C., for a consultation in Kansas City, MO or to get more information. Frederick F Loeb, D.C., is a chiropractor located in Kansas City, MO. Techniques: • Activator Methods Take the next step and contact Dr. Frederick F Loeb, D.C., for a consultation in Kansas City, MO or to get more information. 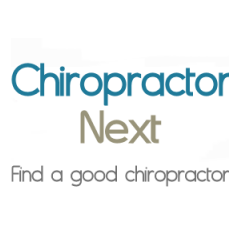 Danna White, D.C., is a chiropractor located in Kansas City, MO. Techniques: • Diversified • Activator Methods • Meric • Thompson Take the next step and contact Dr. Danna White, D.C., for a consultation in Kansas City, MO or to get more information. Barbara J Hoyt, D.C., is a chiropractor located in Kansas City, MO. Take the next step and contact Dr. Barbara J Hoyt, D.C., for a consultation in Kansas City, MO or to get more information. Michael Martin, D.C., is a chiropractor located in Kansas City, MO. Techniques: • Neural Organization Technique • Gonstead • Bio-Energetic Synchronization Technique • Nutrition • Thermography Take the next step and contact Dr. Michael Martin, D.C., for a consultation in Kansas City, MO or to get more information. Don Birkeness, D.C., is a chiropractor located in Kansas City, MO. Techniques: • Diversified • Activator Methods Take the next step and contact Dr. Don Birkeness, D.C., for a consultation in Kansas City, MO or to get more information. Noelle P Van Meter, D.C.
Noelle P Van Meter, D.C., is a chiropractor located in Kansas City, MO. Techniques: • Diversified • Thompson • Sacro Occipital Technique • Flexion-Distraction • Trigger Point Therapy Take the next step and contact Dr. Noelle P Van Meter, D.C., for a consultation in Kansas City, MO or to get more information. Ray W Hawk, D.C., is a chiropractor located in Kansas City, MO. Take the next step and contact Dr. Ray W Hawk, D.C., for a consultation in Kansas City, MO or to get more information. June R Rogers, D.C., is a chiropractor located in Kansas City, MO. Techniques: • Activator Methods • Diversified • Flexion-Distraction • Gonstead Take the next step and contact Dr. June R Rogers, D.C., for a consultation in Kansas City, MO or to get more information. Clark Beckley, D.C., is a chiropractor located in Kansas City, MO. Techniques: • Diversified • Activator Methods • Gonstead Take the next step and contact Dr. Clark Beckley, D.C., for a consultation in Kansas City, MO or to get more information. James S Waddell, D.C., is a chiropractor located in Kansas City, MO. Take the next step and contact Dr. James S Waddell, D.C., for a consultation in Kansas City, MO or to get more information. R V Satterwhite, D.C., is a chiropractor located in Kansas City, MO. Take the next step and contact Dr. R V Satterwhite, D.C., for a consultation in Kansas City, MO or to get more information. Kenneth L Deitchman, D.C., is a chiropractor located in Kansas City, MO. Take the next step and contact Dr. Kenneth L Deitchman, D.C., for a consultation in Kansas City, MO or to get more information. Michael Hudak, D.C., is a chiropractor located in Kansas City, MO. Techniques: • Gonstead • Thompson • Activator Methods • Diversified Take the next step and contact Dr. Michael Hudak, D.C., for a consultation in Kansas City, MO or to get more information. Oscar E Chance, D.C., is a chiropractor located in Kansas City, MO. Techniques: • Meric Take the next step and contact Dr. Oscar E Chance, D.C., for a consultation in Kansas City, MO or to get more information. Rickard Thomas, D.C., is a chiropractor located in Kansas City, MO. Techniques: • Diversified • Thompson • Activator Methods Take the next step and contact Dr. Rickard Thomas, D.C., for a consultation in Kansas City, MO or to get more information. Charles A Eddy, D.C., is a chiropractor located in Kansas City, MO. Techniques: • Diversified Take the next step and contact Dr. Charles A Eddy, D.C., for a consultation in Kansas City, MO or to get more information. James J Smith, D.C., is a chiropractor located in Kansas City, KS. Take the next step and contact Dr. James J Smith, D.C., for a consultation in Kansas City, KS or to get more information. Cheryl L Golladay, D.C., is a chiropractor located in Kansas City, MO. Techniques: • Diversified • Sacro Occipital Technique • Flexion-Distraction • Activator Methods • Gonstead • Cox Take the next step and contact Dr. Cheryl L Golladay, D.C., for a consultation in Kansas City, MO or to get more information. Dennis J Oberle, D.C., is a chiropractor located in Kansas City, MO. Techniques: • Gonstead • Diversified • Meric • Sacro Occipital Technique Take the next step and contact Dr. Dennis J Oberle, D.C., for a consultation in Kansas City, MO or to get more information. Dennis L Gutshall, D.C., is a chiropractor located in Kansas City, MO. Techniques: • Applied Kinesiology • CranioSacral Therapy • Neuro Emotional Technique • Manual Adjusting • Sacro Occipital Technique • Pro-Adjuster Technology • Bio-Cranial Procedure • Cold Laser • Detox foot bath Take the next step and contact Dr.
Kathy Dusenbery, D.C., is a chiropractor located in Kansas City, MO. Take the next step and contact Dr. Kathy Dusenbery, D.C., for a consultation in Kansas City, MO or to get more information. James A Brown, D.C., is a chiropractor located in Kansas City, MO. Techniques: • Activator Methods Take the next step and contact Dr. James A Brown, D.C., for a consultation in Kansas City, MO or to get more information. Meggan M Kroll, D.C., is a chiropractor located in Kansas City, KS. Techniques: • Activator Methods • Diversified Take the next step and contact Dr. Meggan M Kroll, D.C., for a consultation in Kansas City, KS or to get more information. Rhonda L Smith, D.C., is a chiropractor located in Kansas City, MO. Techniques: • Diversified • Thompson Take the next step and contact Dr. Rhonda L Smith, D.C., for a consultation in Kansas City, MO or to get more information. Robert Graham, D.C., is a chiropractor located in Kansas City, MO. Techniques: • Diversified Take the next step and contact Dr. Robert Graham, D.C., for a consultation in Kansas City, MO or to get more information. Allen L Marvin, D.C., is a chiropractor located in Kansas City, MO. Take the next step and contact Dr. Allen L Marvin, D.C., for a consultation in Kansas City, MO or to get more information. Kenneth R Swickard, D.C., is a chiropractor located in Kansas City, MO. Techniques: • Toftness • Gonstead • Activator Methods Take the next step and contact Dr. Kenneth R Swickard, D.C., for a consultation in Kansas City, MO or to get more information. Deborah Mc Kenzie, D.C., is a chiropractor located in Kansas City, KS. Take the next step and contact Dr. Deborah Mc Kenzie, D.C., for a consultation in Kansas City, KS or to get more information. Charles H Heflin, D.C., is a chiropractor located in Kansas City, MO. Techniques: • Upper Cervical Take the next step and contact Dr. Charles H Heflin, D.C., for a consultation in Kansas City, MO or to get more information. James A Kiehl, D.C., is a chiropractor located in Kansas City, KS. Techniques: • Applied Kinesiology • Pro-Adjuster Technology • Sacro Occipital Technique Take the next step and contact Dr. James A Kiehl, D.C., for a consultation in Kansas City, KS or to get more information. Michael D Moore, D.C., is a chiropractor located in Kansas City, MO. Techniques: • Cox • Motion Analysis (Palpation) • Diversified • Sacro Occipital Technique • Gonstead • Thompson Take the next step and contact Dr. Michael D Moore, D.C., for a consultation in Kansas City, MO or to get more information. Kelli Austin, D.C., is a chiropractor located in Kansas City, MO. Techniques: • Diversified • Activator Methods • Sacro Occipital Technique • Thompson Take the next step and contact Dr. Kelli Austin, D.C., for a consultation in Kansas City, MO or to get more information. Scott O'Brien, D.C., is a chiropractor located in Kansas City, MO. Techniques: • Diversified • Activator Methods • Thompson Take the next step and contact Dr. Scott O'Brien, D.C., for a consultation in Kansas City, MO or to get more information. Muriel Perillat, D.C., is a chiropractor located in Kansas City, MO. Take the next step and contact Dr. Muriel Perillat, D.C., for a consultation in Kansas City, MO or to get more information. Darwin M Prosak, D.C., is a chiropractor located in Kansas City, MO. Techniques: • Diversified Take the next step and contact Dr. Darwin M Prosak, D.C., for a consultation in Kansas City, MO or to get more information. Bettie J Stuber, D.C., is a chiropractor located in Kansas City, MO. Take the next step and contact Dr. Bettie J Stuber, D.C., for a consultation in Kansas City, MO or to get more information.